Hey guys! Today I have a non-baby, food-related post for you! As much as I love the little guy, it’s nice to get back in touch with other aspects of my identity like my love of food and blogging about it! 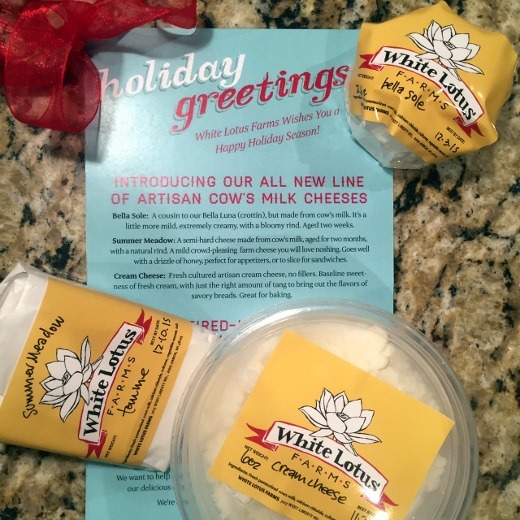 New to White Lotus Farms are their cow’s milk cheeses – not available in stores, but available exclusively at the Ann Arbor Farmer’s Market or at WLF’s Thanksgiving / Christmas special sales, at the farm or order online for pickup. This morning I tried the oh-so-creamy Bella Sole, and, my favorite, the semi-hard Summer Meadow – tasty with a drizzle of honey (as they suggested!) Today I’ll be picking up some bagels at the grocery store to go with that luscious looking cream cheese. I’ve had White Lotus Farms’ breads before and they are great. 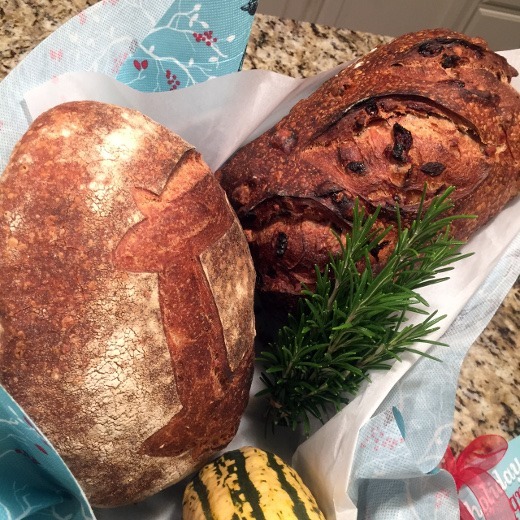 Also their new bakery will be open any day – in time for the upcoming Thanksgiving holiday. This summer when we visited, we came home with a few loaves (we froze some – it freezes very well!) 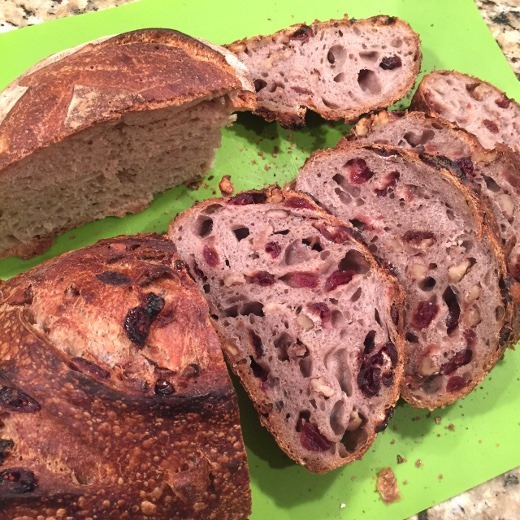 of the Cranberry Walnut Levain, which makes excellent French Toast and PB&Js! I was delighted to get another fresh loaf from the farm in my basket. 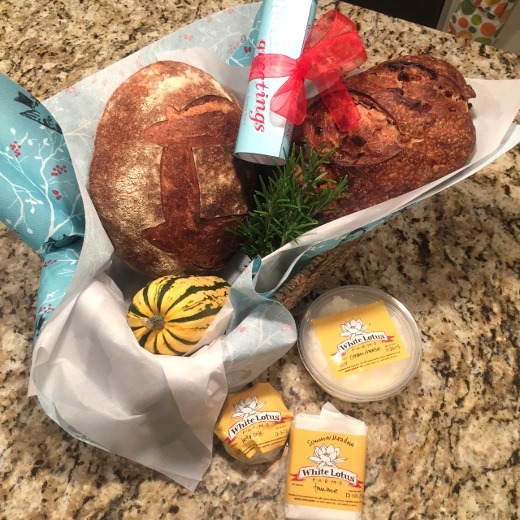 Huge thanks to White Lotus Farms for brightening my day with these tasty delights! 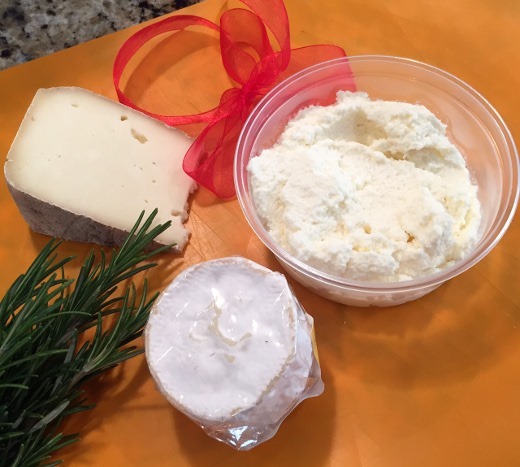 This post is not sponsored – I just love what the folks at White Lotus Farms are doing and wanted to share their goodness with you.